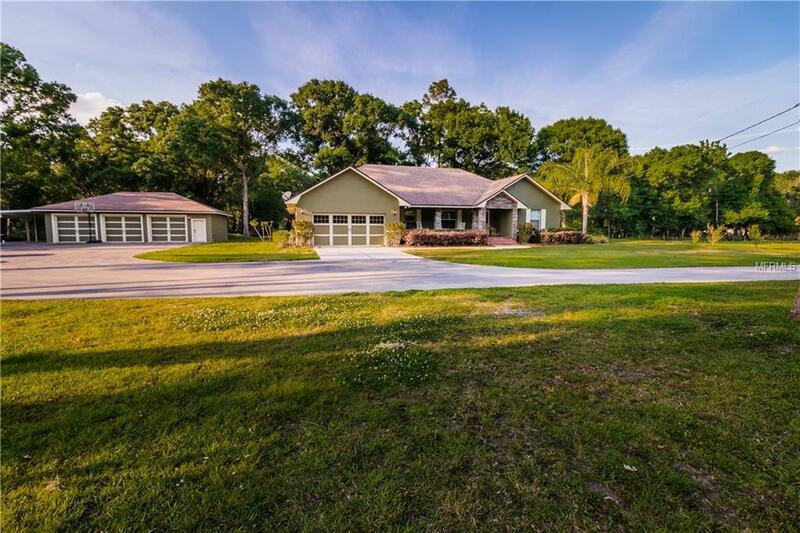 Welcome home to this gorgeous 4 bedroom, 2 bath custom built Damron home! The property has 4.79 acres with an additional 3 bedroom, 2 bath fully renovated mobile home, perfect for extended family or as an income generating rental. This property does NOT have an HOA! Buyers can bring their toys and animals and be worry free! The main home features a new kitchen that includes soft close 42" wood cabinetry, stainless steel appliances and granite counter tops. Throughout the home a buyer will find new hardwood flooring, new carpet in the additional rooms, updated bathrooms that include new toilets, new ceiling fans as well as 8 updated security cameras and DVR with mobile application included with the sale of the home. There is also electronic keypads for access in and out of the home. The exterior has also been updated with all new lighting fixtures, updated security cameras with DVR and mobile application capability, newly cleaned and inspected roof as well as a newly pumped and inspected septic tank. The main home has an attached two car garage with an additional detached 3 car garage, with two new doors and casings on it. The entire 4.79 acres is fenced. This property is turn key and ready to move in, a MUST SEE!